I am a big fan of special architectural details. This sidewalk is a perfect example. It takes just a bit more work… but it is so much more fun in the end. Don’t just do something like it has always been done… make it something special. Every aspect of building can be made special in some way… and the more special details you have… the better you will love what you build. 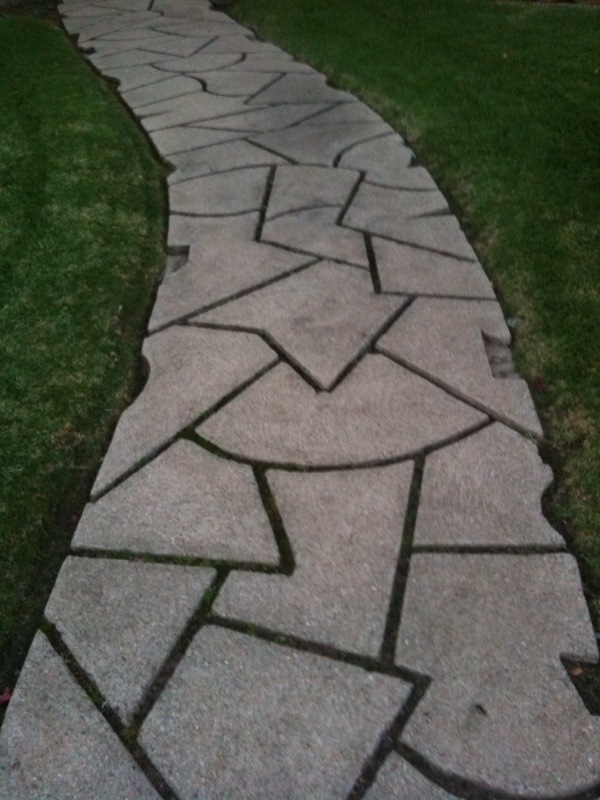 This sidewalk took a bit of form work… and some extra acid washing… but just look at it! It is awesome.